Dimensions: 26”W x 79”D x 14”H. 26 Lbs. Flat oval .063 heavy gauge aluminum extrusion. 2 1/8"W x 13/16" oval arms & legs. Polyester powder coated finish with anti-corrosion treatment. 2" Pure virgin vinyl straps. Double wrapped with 1/4" pins. 3/4" Double side pin supports. Stainless steel fasteners, aluminum bushing and nylon friction washers. Aluminum 4 position adjustment bracket. Heavy duty 1/4" thick ratchet. Large Selection of frame and strap colors. 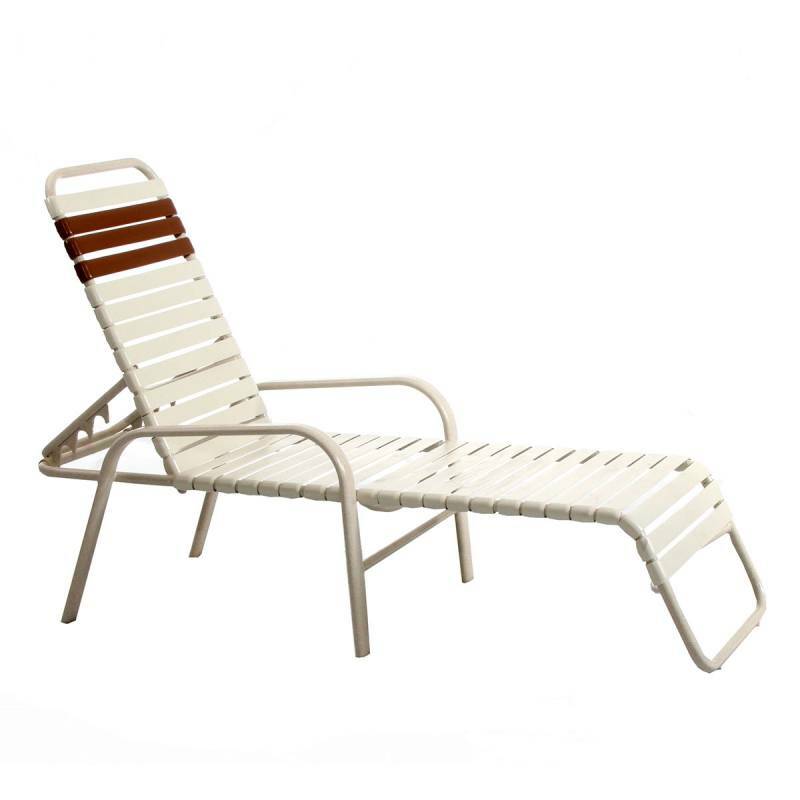 There's nothing like relaxing at the beach or poolside in our Welded Stacking Contract Bonaire Vinyl Strap Chaise Lounge. 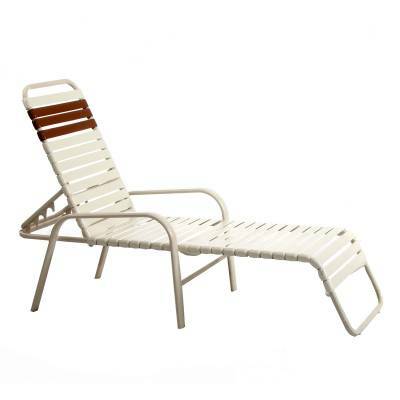 This powder coated heavy gauge aluminum chaise lounge will stand up to any commercial application easily! With such a large variety of strap colors available you can match any decor! Comes with a 5 year commercial warranty! Best of all...Made in the USA! Call or email National Outdoor Furniture today for a quick quote!